At AHR we help define your requirements, write specifications and design, develop, test and integrate software across multiple platforms including Internet technologies, enabling your systems to function in new operating environments. 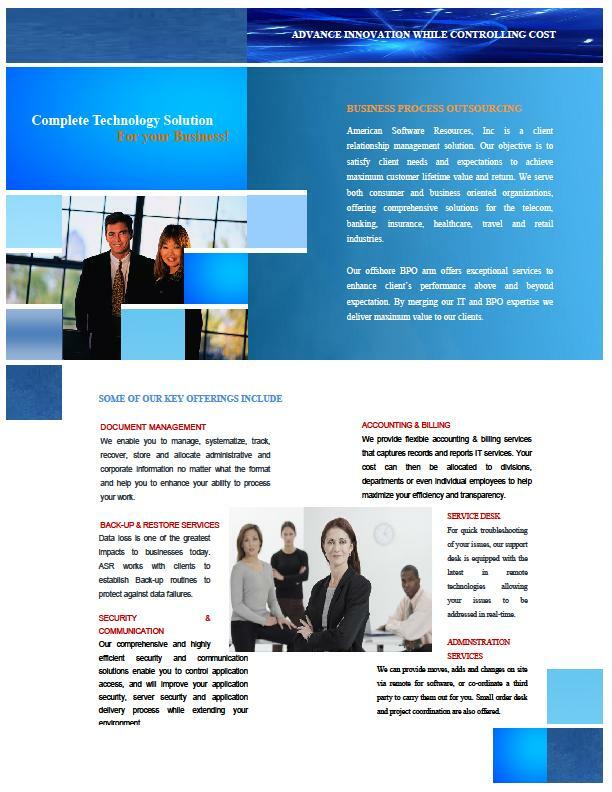 ASR is a client relationship management solution. We serve both consumer and business oriented organizations, offering comprehensive solutions for the telecom, banking, insurance, healthcare, travel and retail industries. 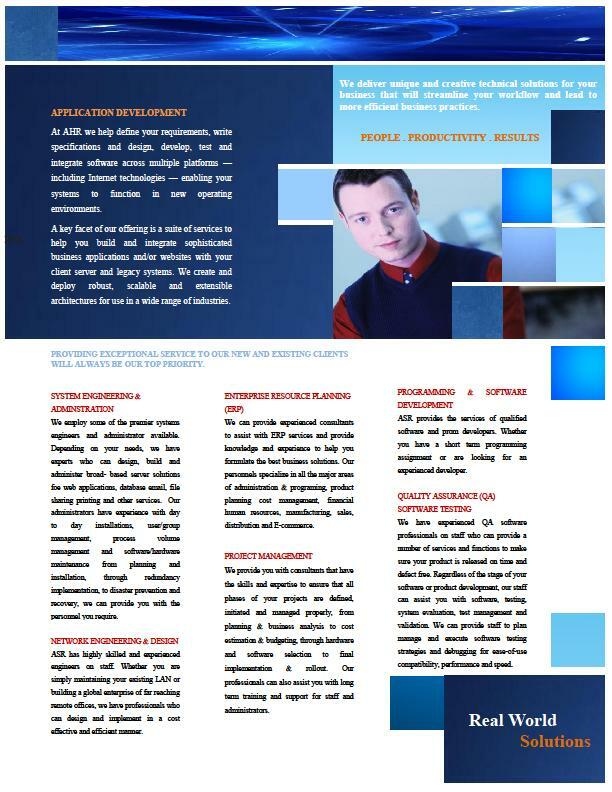 Our consultant are specialist of software programming and application development. 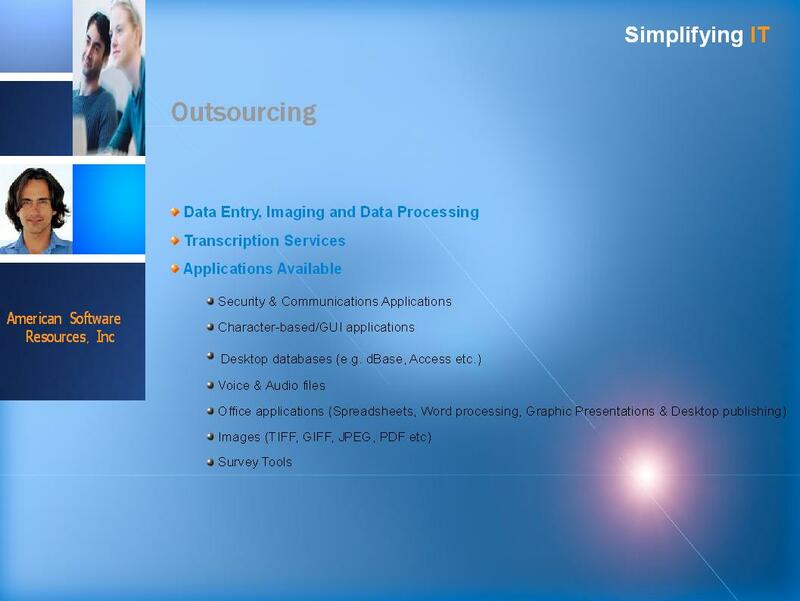 Services can be outsourced directly to ASR or handled by one of our offshore associates. We can provide a array of options and solutions for all you database requirements, be it designing, building or maintaining data. 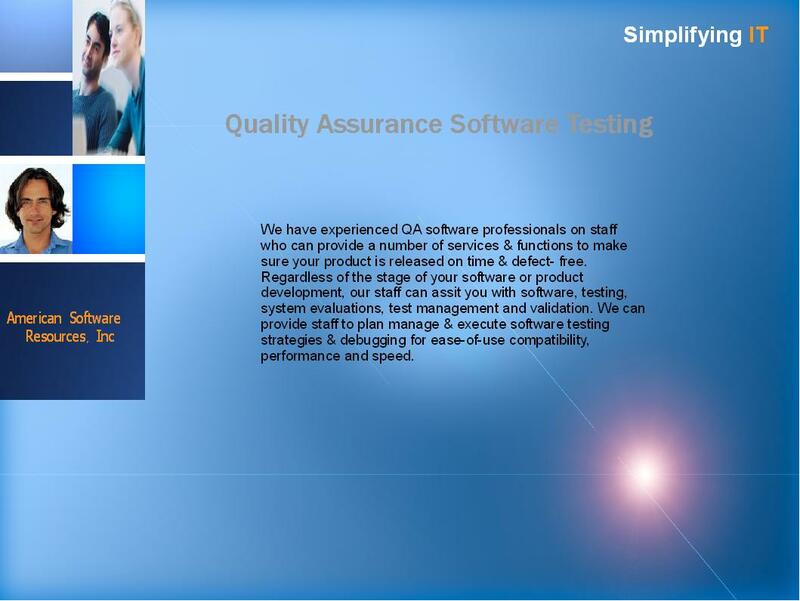 We have experienced QA software professionals on staff who can provide a number of services and functions to make sure your product is released on time. 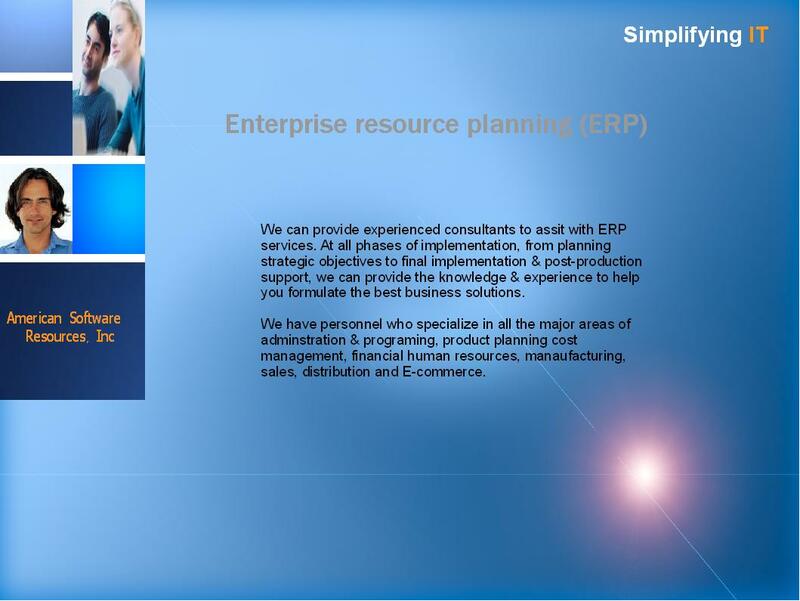 We can provide experienced consultants to assit with ERP services and provide knowledge and experience to help you formulate the best business solutions.